The new restaurant is located on Armed Forces Blvd. in Warner Robins. WARNER ROBINS, Ga. — A new salad restaurant opened in Warner Robins and it's already raving with reviews. Owner Alexander Clark says OMG Salads, LLC officially opened on March 18. The restaurant serves salads, of course, along with a variety of other options including burgers, tacos and nachos. Some of the salad options include apple cranberry, grilled chicken, chef salad, and an OMG salad, which is loaded with toppings. "When you get it, it's like 'OMG!," said Clark. "We always have a new item on the menu every week just to kind of switch it up. That way, you aren't always coming to get the same salad." Clark says the restaurant was originally going to be a burger joint, but he chose to switch it up especially when he realized there weren't many salad options in the area. However, that didn't stop him from putting the signature OMG burger on the menu. 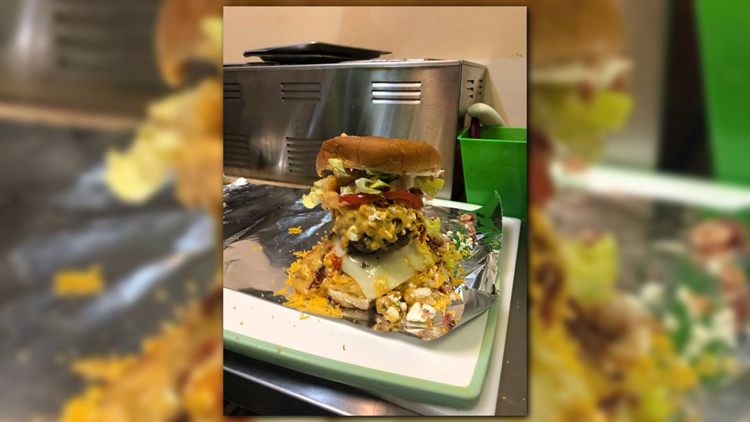 "Even if you get it in a single, it's a huge burger," he said about the OMG burger. It comes with queso, bacon, tomatoes, onions, pickles, mayo, ketchup, and you can actually add toppings to it." You can get the burger in the single, double, or triple. In addition, the restaurant serves nachos and tacos on Thursdays and Fridays. Clark is from Macon, and moved to Warner Robins around four years ago. He also recently finished culinary school. Clark added that the building was formerly a church. The restaurant is located right next to Martin's BBQ, and across from Robins AFB at 110 Armed Forces Blvd. in Warner Robins. It's open Tuesday thru Friday from 10:30 a.m. to 3 p.m., 11 a.m. thru 3 p.m. on Saturdays and Mondays, and closed on Sundays. Click here to visit the OMG Salads Facebook page.